I don’t have a tenancy agreement and I pay £500 pcm. My landlord has asked me to leave because he wants to turn the property into flats. He has never provided me with a gas certificate, an EPC, an electric certificate and not put my deposit in a scheme. He has stated that I have 2 weeks to get out because I have no tenancy. He has also stated to not pay this months rent as this is for the depoist I gave him. Assuming he is not a live in landlord (and this advice is on this basis) your landlord is completely wrong and is acting wholly illegally. It is NOT necessary to have a written tenancy agreement to create a tenancy. Normally you need to have a written deed to create a legal ‘interest in land’ which is what a tenancy is. However, the Law of Property 1925 makes a specific exception in section 54(2) for lets with a term of three years or less. What this means is that as soon as you move into the property and start paying rent, a tenancy is created. It is an oral tenancy but still a valid legal tenancy nonetheless. What type of tenancy you have will depend on the circumstances. However, in the vast majority of cases, it will be an assured shorthold tenancy. Can your landlord evict you through the courts? Maybe not, and this may be why your landlord has taken this bullying attitude, hoping that you will just leave. 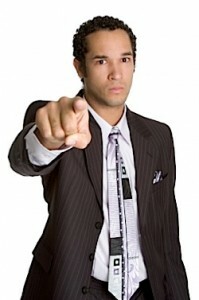 If you have paid your rent he cannot evict you for rent arrears. And it sounds as if he will not be able to use the ‘notice only’ ground for possession under section 21 of the Housing Act either. To use that ground now a landlord needs to have complied with various pre-conditions which include protecting your deposit and (if you moved in after 1 October 2015) giving you a gas safety certificate before you moved in. So it may be that he is unable to evict you at all through the courts. You need to get proper legal advice ASAP. If there is a law centre near you (there is a list here), that would be ideal. We have a list of other organisations which can help tenants here. 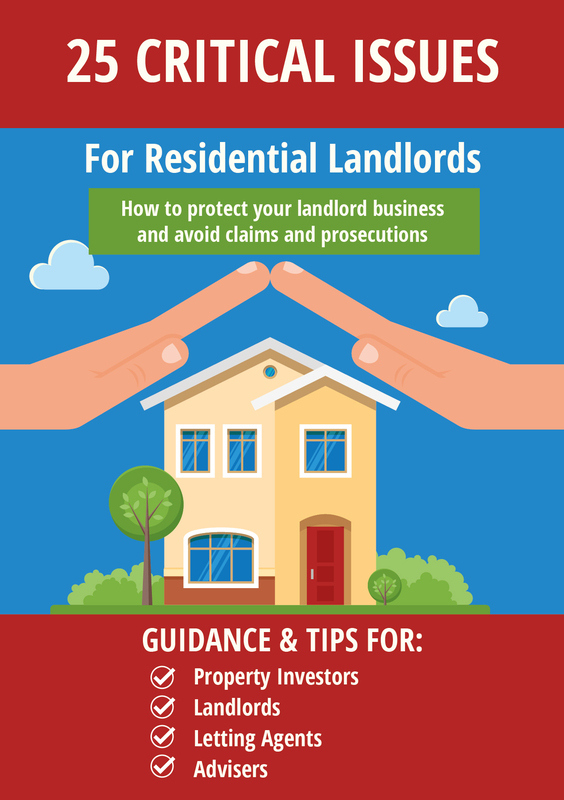 As your landlord’s threats are in breach of the Protection from Eviction Act 1977 you may also be able to claim compensation. There is Ground 6 in the background though Tessa, where a landlord seeks to demolish or reconstruct the accommodation. This is a mandatory ground for possession, although the landlord would still have to obtain a possession order the section 8 notice would still have to be two month’s duration, not two weeks. Deposit protection and gas safety etc wouldnt have any effect on a s8. I’ve only come across a couple of Ground 6 claims in my time and in both instances the landlord lost because the courts didnt feel there was enough of a guarantee that demolition or reconstruction was the landlord’s genuine aim. In double checking my comment I see the case of Edwards v. Thompson (1990) where possession was denied because at the hearing the landlord had not sourced a developer and could not satisfy the court that she even had sufficient means to afford to pay for the works. I suppose, being a mandatory ground the courts pay close attention to these sorts of factors. I had forgotten about ground 6! As you say it is not used that often. I only used it once (successfully) when I did eviction work. However, the Judge will be seriously unimpressed by the landlord’s threats to evict the tenant after two weeks and it could even prejudice his case. The tenant would be able to defend and counterclaim for damages. Interesting replies Ben! 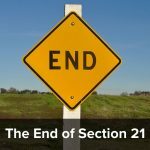 Any section 21 would be totally invalid so a section 8 possession ground it would have to be. Shocking to think that there are still so many gangsters like this able to rent property out and break all the laws so easily. Apparently they’re a minority (say all the same people who think national landlord licensing would be a terrible idea). 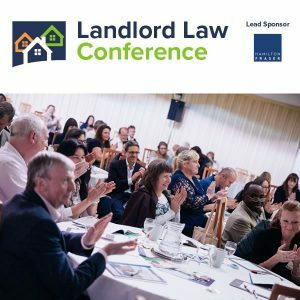 The problem is that the remaining few criminal landlords get away with appalling stuff right under the noses of the Police who offer landlords and agents a leniency that no other service-providers or suppliers of goods would be afforded when chasing a late payment, or concocting a plausible reason to need entry to your premises to intimidate and harass you further. A landlord can literally be caught changing your locks when the Police turn up and they will not enforce the law. Even a certain level of violence will often be tolerated. Pursuing a civil remedy after the event against people that may evade paying seems like a poor moral victory compared to a criminal conviction that stops them ever qualifying for a licence and places them firmly on the radar. Suppose you come home and find your LL busily putting your stuff out into the street. The first thing the Police may ask to see is your tenancy. With nothing in writing they may wrongly dismiss your claim to being a tenant as not being valid, like they often do when they see a 6 month AST that has gone periodic and think it has somehow “expired”. If you’re lucky the Police will give your LL a talking to saying he needs a court order and you’ll be able to retrieve your stuff and go back in. But how secure do you now feel? Will you ever be comfortable leaving the house unattended? Do you trust the Police to actually do anything if the LL repeats the attempt after having been warned? It’s scandalous how the Police get away with dismissing everything to do with LL/T as “a civil matter”. And why they fail to assume a LL would already know that he needed a court order is beyond me. Besides, since when has even a genuine ignorance of the law been a valid defence, let alone a feigned one. You could always track down the one obscure person in your particular council that may possibly take up the issue and hope they don’t happen to be on two weeks leave. IT also cuts the other way John. I was presenting at a landlord’s forum a few weeks back and got chatting to a landlord afterwards who had evicted her lodger because his drunken behaviour was scaring her kids. He returned a week later and took a chainsaw to the front door while the family was watching TV. Suitably terrified she called the police and explained what her ex-lodger was doing. The call centre said “Landlord and tenant? Sorry love, civil matter” and refused to attend. There is insufficient information in the article to reach the conclusion stated. The obvious question of “is there a live-in landlord” has not been addressed. Thata true. The advice is subject to their not being a live in landlord. I have amended it. Even if there is a live-in landlord, the 2 weeks notice is not sufficient as rent is paid monthly. Assuming that the landlord lives out, there is also the possibility of a fine being paid to Mike because of the failure to protect the deposit. There is also the possibility of a rent repayment order if Mike is forcibly evicted or if it is an HMO that he is living in that is unlicensed.